While the absence of any mention about the removal of 80 P (Income Tax on co-ops) dismayed the cooperative sector, the bonanza announced for the farm sector has enthused them. “Help extended to agriculture is in a way help for the co-op sector”, said Jyotindra Mehta, senior cooperator. It is for the first time that direct income support of Rs 6,000 per annum to small farmers in the Union Budget was announced. Union Finance Minister Piyush Goyal said the Rs 75,000-crore Pradhan Mantri Kisan Samman Nidhi (PM-Kisan) scheme would provide assured income support to small and marginal farmers. The money would be transferred directly into the bank accounts of the beneficiary farmers, in three equal instalments of Rs 2,000 each. About 12 crore small and marginal farmer families are expected to benefit from the scheme. Another provision of Budget being lauded is extension of KCC benefits to those involved in fisheries, animal husbandry and milk-production. The increased allocation for Rashtriya Gokul Mission to Rs 750 crore in the current year will give a further push to milk productivity and production in the country, says GCMMF Managing Director R S Sodhi. The provision of TDS benefits up to Rs 40000 is also being admired by the cooperative sector in general and credit co-operatives in particular. Credit co-ops have small depositors and it’s a big relief to them, say many from the sector. 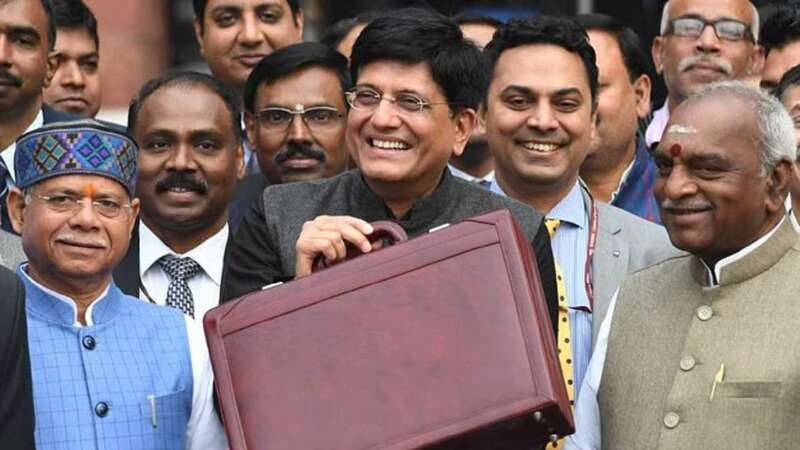 It is a wonderful budget so far as middle class, farmers, women, youth, education and defense are concerned, concluded Mehta who is currently camping in Delhi to oversee poll preparations of NAFCUB scheduled for Sunday. Farmer’s income doubled: All 22 crops have been put under Minimum Support Price. The various pro-farmer policies have led to the production of agricultural commodities in record quantities. To provide assured income to small and marginal farmers, the Government has introduced a historic yojana- Pradhan Mantri Kisan Samman Nidhi (KISAN). Under the yojana, the vulnerable farmers, who own around 2 hectares of land, will get direct income support of Rs 6000 per year. Around Rs 75,000 crore will be borne by the Centre every year. The first installment will be issued soon after preparing a list. Rs 20,000 crore will be spent this financial year. Farmers affected by natural calamities will be given 3 per cent interest subvention on crop loans. To provide a further push to the animal husbandry and fisheries sector, the Union Government has decided to increase allocation to the Rashtriya Gokul mission to Rs 750 crore in the current year itself. Two percent interest subvention will be given to farmers who are engaged in animal husbandry and fisheries when loans taken through Kisan Credit Card. An additional 3 per cent relaxation will be given in case of timely repayment of loans. The Union Government has decided to set up Rashtriya Kamdhenu Aayog to upscale sustainable genetic up-gradation of cow resources and to enhance production and productivity of cows.